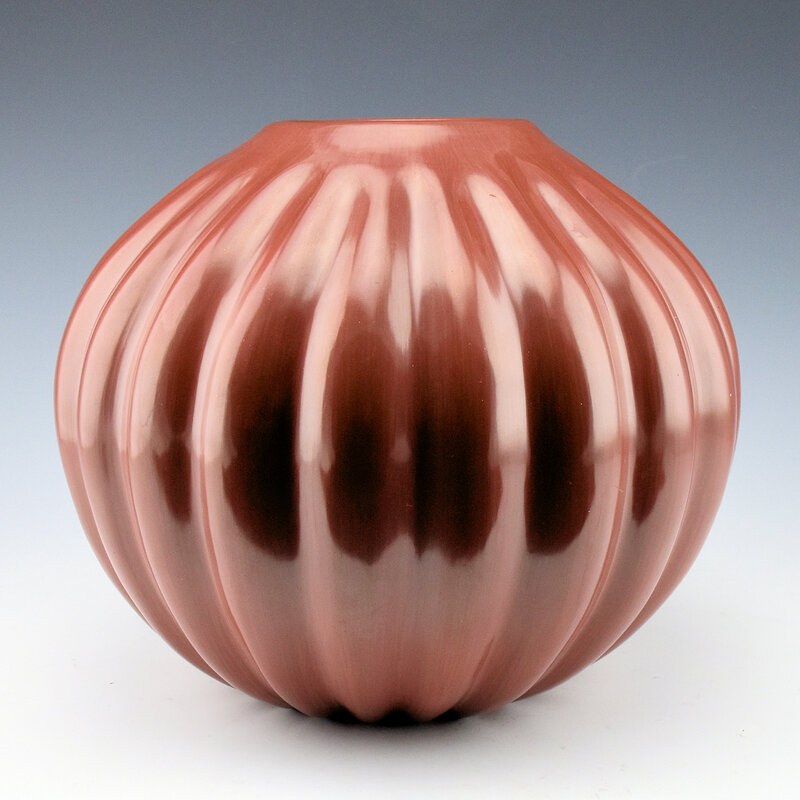 Alton Komalestewa learned to make pottery from his mother-in-law, Helen Shupla. 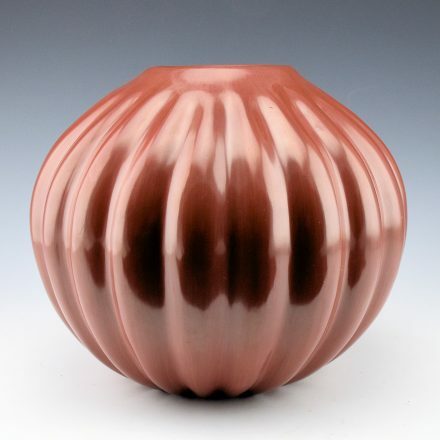 She was famous for her traditional melon bowls and over the years Alton has taken and refined this form. 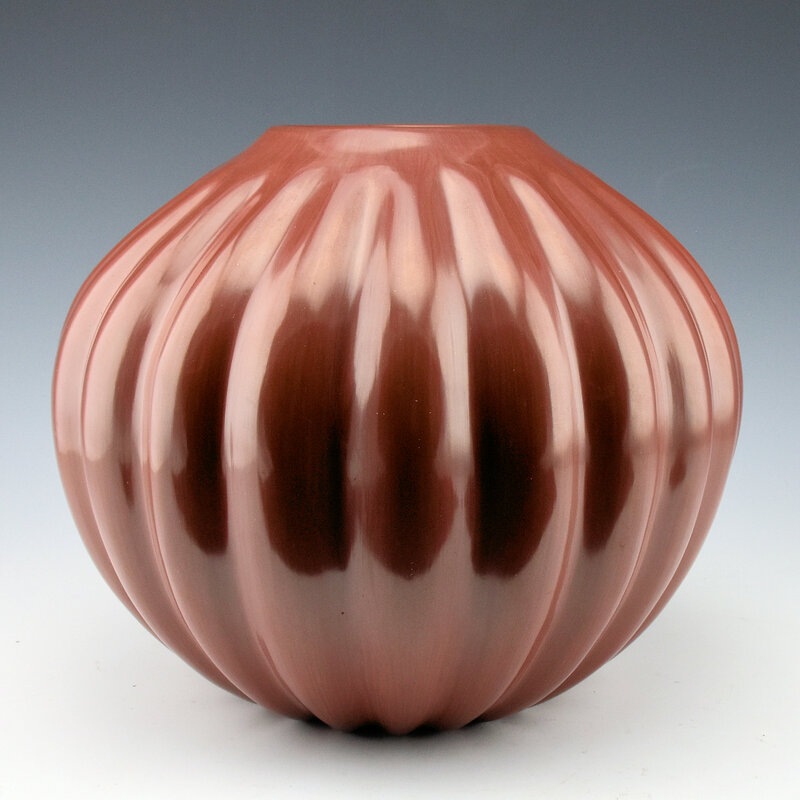 This large melon jar is an earlier piece of his pottery from the 1980’s and it is made with Santa Clara clay. The jar has 21 melon ribs which each pushed out from the inside so that there is an undulation of the ribs. Typical of Alton’s work, there is also a symmetry to each rib! Of course, it is technically difficult to stretch the clay and create even ribs. 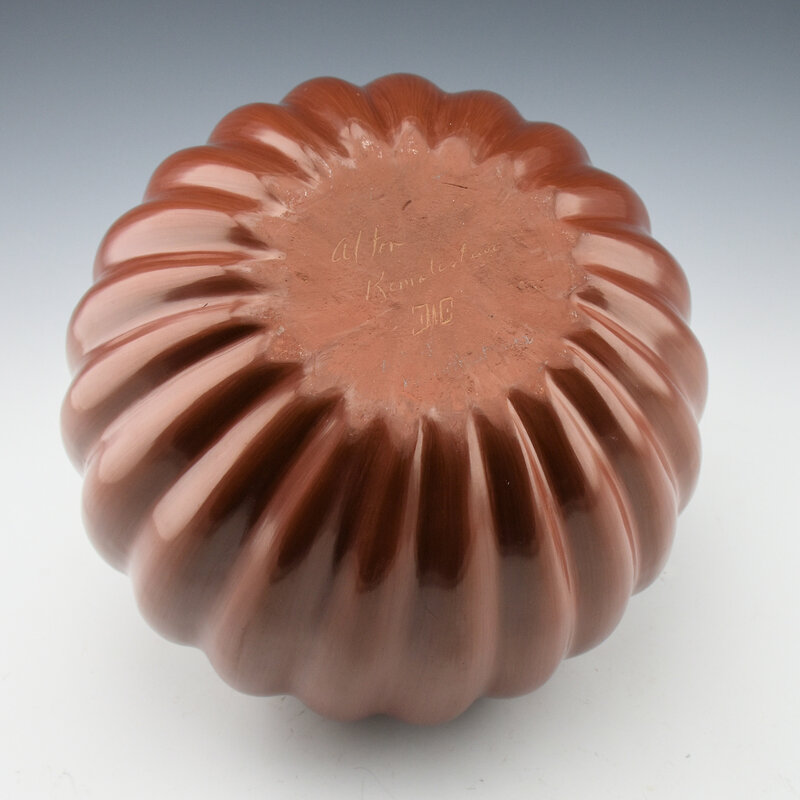 The jar is highly polished and fired a brown coloration. 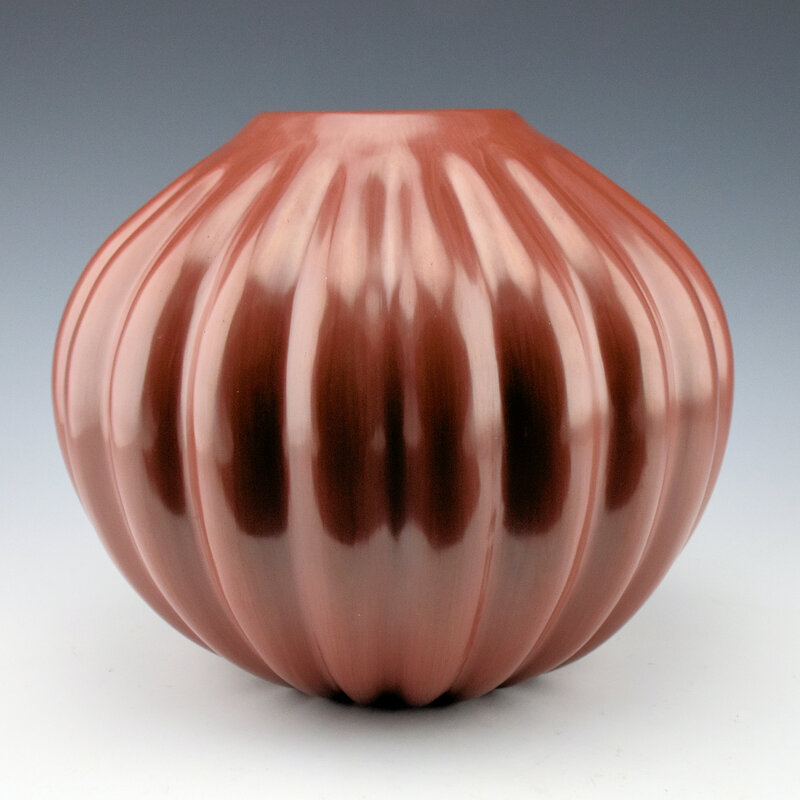 Again, much like Helen, Alton has continually experimented with various colors of clay throughout his career to create distinctive vessels. The jar has been traditionally fired and it is signed on the bottom by Alton and he also uses a katsina face as part of the hallmark of his name. It is in very good condition with no chips, cracks, restoration or repair.